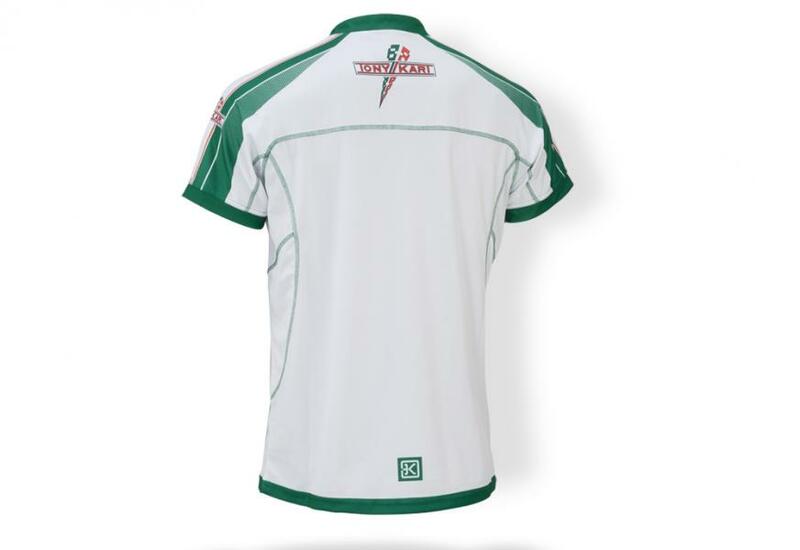 Completely new style for the Tony Kart polo shirt. 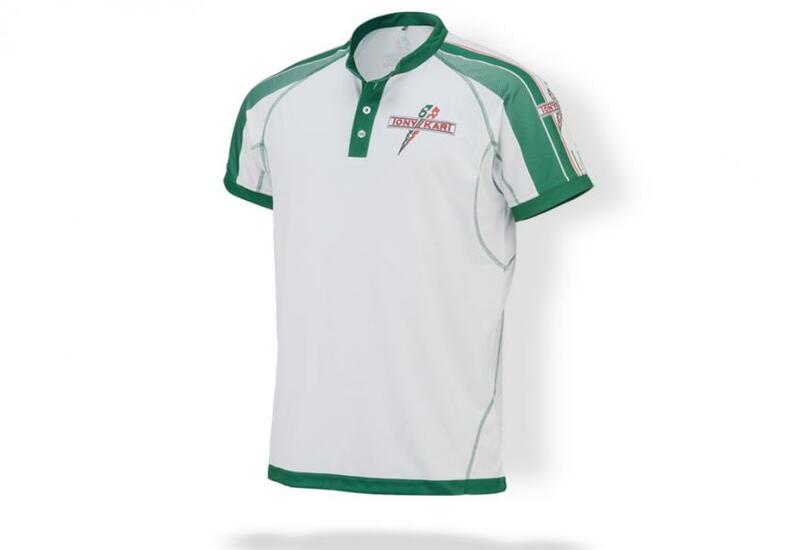 In lightweight fabric, breathable and comfortable. White colour with 2015 graphic design prints. Green refined finishes.